We went to the wedding of my friends Christi and Scott this weekend. The weather was perfect and the setting was idyllic, at a beautiful historical landmark in San Juan Capistrano. Christi and Scott were beaming, their love and happiness shining for all to see. These are the hands of your best friend, young and strong and vibrant with love, that are holding yours on your wedding day, as he promises to love you all the days of his life. These are the hands you will place with expectant joy against your stomach, until he too, feels his child stir within you. These are the hands that look so large and strong, yet will be so gentle as he holds your baby for the first time. These are the hands that will comfort you in illness, and hold you when fear or grief wrack your mind. From this day forward, for better, for worse. As Christi and Scott held hands, my husband and I held each other. We have been through the worst that life can throw at you. We have struggled, we are struggling, but we are together, sometimes pulling the other, sometimes pushing. We have lost everything, and we are slowly trying to build our lives again. I wished with all my heart that August 8th turns out to be the worst day of Christi & Scott’s lives. That every day after their wedding only gets better and better. That they only know happiness and never have to wipe tears of sorrow from the other’s eyes. That they never, ever know grief. I remember our wedding day, when I held Mike’s hands and we took our vows. What a lovely, lovely wedding. .-= Karen´s last blog ..Rocky Mountain High (The one where D3 DOESN’T go to Afghanistan) =-. These photos are lovely. Your thoughts are even more so. .-= Haley´s last blog ..Proud. =-. Hoping you only get the “for better” going forward… You have more than your fair share of the other. Beautiful photos. I wish your friends so much happiness and love. I wish it for you, Mike, Binky and Digby. I can only hope that Maddie is happy where she is – knowing how truly loved a person can be. .-= Kelly´s last blog ..Really professional! =-. Errr, Rigby!! iPhone keyboard hates me sometimes! Love you all. The two of you have the kind of bond and strength that I can only hope to hold on to one day. *hugs* all around. I’m with Kelly… For better.. from here on out. .-= Kellee´s last blog ..Just a Little Everyday Magic =-. Beautiful words, lovely photos, stunning sentiment. May your love, which shines through in these posts, continue to sustain you and strengthen. Love to you all. .-= Kate in NZ´s last blog ..Contrasts =-. 1. Thank you for the gift of this blog; every entry is beautiful, and I found this one even more lovely and intense and perceptive than usual. 2. Prayer is complicated for me, but it’s a word I still like to use and mostly I mean it the way it is usually meant: to expend one’s energy in such a way as to extend and/or grant spiritual comfort of some kind to another. I pray with you and Mike constantly, and I say with because one of the things I love most about you both is your devoted love and service to the people surrounding your lives. You’re always praying for so many others. May my prayers – may all of our prayers – make the atmosphere for your journey of grief slightly less bumpy, slightly more buoyant, slightly less devastating and slightly more bearable. 3. I am so proud of you both for sticking with each other, for not just letting it all go in the moment the world ended. I know not that I could ever be so generous, so courageous as you both are. this post is so heartfelt. Its amazing to see such a strong marriage even after everything. I wish you and Mike (and Binky) eternal happiness. You deserve it. Amazing strong couple. .-= Pamela´s last blog ..Seven Randoms =-. Hoping you always have each other to help you through the harder times. We are often asked, now that we have a sick child, if our marriage is strained. Yes, it is but we went through the death of a baby, we made hard decisions and we made it through all of that. If we can make it through that, we can get through anything. That’s hard for lots of people to understand but I bet you get it. yes, unfortunately, I get it. Once you have to plan your child’s funeral and make decisions on whether to cremate or bury, it’s hard to imagine many things that could be much harder. I’m thinking of you and your family. I am so glad you and Mike have each other. Having a loving spouse is truly one of the best things a person can have. beautiful words Heather, and yes, Mike and you have gone through the hardest times of your life, but you are together, and through your words we certainly know you are committed to each other, you love each other. And although you have seen the darkest days and nights, you own the brightest star in the sky , MADDIE, who will always be watching and guiding you, Mike, and little Binky along the darkest paths. Keep grieving together, it’s your togetherness that makes life bearable when it is unbearable. .-= catherine lucas´s last blog ..Monky business… =-. Your friends do look so happy and the wedding was beautiful. Your words are so powerful. Sending more cyber (((hugs))) your way. Beautiful thoughts so eloquently expressed, as usual. I, too, wish for you that the very worst is behind you and that there is only healing and happiness in your future. .-= Noelle´s last blog ..I Am… =-. This is a beautiful post. I look at my parents who like you had to plan the funeral of their baby son. And I see them now so many years on, united in love and grief. It could have gone the other way. I am so glad you and Mike are getting through this pain together. I get it Heather, every single word. I too had to chose “cremation or burial” and the words cremation and burial should not go in the same sentence as baby/child. I’m also so glad for my husband. I shudder to think where I’d be right now without him. Beautiful post, and congrats to your friends. May they be spared from this pain in life. .-= Sally´s last blog ..It’s the innocence I covet =-. You guys are really amazing. You are so obviously, truly meant for each other. Those vows are easy to say – but when they test us, not so easy to keep. I am so glad you have each other. .-= amanda´s last blog ..vacation day FAIL. =-. You two are a beautiful example of what a marriage is all about. I love this post. .-= Christy´s last blog ..I have not fallen off the face of the earth…yet! =-. I am so moved by this post. I often imagine how easy it would be to get lost in the solitary experience of grief after losing a child and move away from your spouse in the process. Although this is an incredibly hard, unfair, and long road you’re walking on, I am so glad that you and Mike are continuing to love and be there for one another–even through your darkest days. Like Christy said above, you are a beautiful of example of marriage. .-= Jennifer´s last blog ..Top 10 reasons why blogging is more difficult than I thought it would be… =-. You haven’t lost everything though… you still have each other’s love, wihtout that there would have been no Maddie… and it’s evident that love is still there and is perhaps even stronger…and has created yet another beautiful being. Cherish it. .-= karen M.´s last blog ..Cutest Dog Competition =-. This is such an inspirational post – thank you. Oh, this is so lovely and sweet. .-= Pgoodness´s last blog ..Tweetless =-. Beautiful. Your thoughts always make me choke up with emotion. .-= Lynn from For Love or Funny´s last blog ..The Ugly Truth =-. I hope all the worst days are behind you and Mike as well. I wish nothing but happy days for you both from now to forever. .-= Karen´s last blog ..Friday Fill-ins =-. I hope one day I can find someone to love me as much as you and Mike love each other. .-= Jessica´s last blog ..9/11 =-. Those are beautiful vows. I’m glad that you and Mike are finding your way out of this darkness together, and that you have each other to turn to when reality crushes you. I’m thinking of all of you and sending so much more love than I could possibly convey through this comment. .-= ali (adil320)´s last blog ..Follow Friday: The Blog Edition =-. We have no idea what our wedding vows mean until we have been married for some time. I think this is why people cry at weddings- they KNOW what those people are pledging. I am glad you and Mike are holding on to each other. .-= Ms. Moon´s last blog ..I Kneel and Worship You =-. Thank goodness you and Mike have each other. I do a lot of reading and have read the awful statistics of marriages ending after the tragic loss of a child. Although I only know you from your blogs, I cannot imagine this happening to you and Mike. Your union seems to me from the outside anyways, stronger than ever. I pray every night for your strength to go unwavered and that if you do become a little unsteady along the way for Mike to pick you right back up again. what a beautifully written testament to the love that you and mike have…. all families should build based on those vows. you two are fantastically connected, for better or worse…. maddie and baby binky are the perfect manifestations of the love you and mike have for each other. my love to you all…. always. .-= nic @mybottlesup´s last blog ..conversations in the shower =-. Beautiful! You and Mike will serve as a testament to many! .-= Susan´s last blog ..The Fruits of Our Labor =-. .-= Sara Joy´s last blog ..Two Months =-. “I” Never had any doubt that you and Mike wouldn’t weather this horrible time in your lives together and get through it. You are two of the strongest people I know, and I don’t really even “know” you. 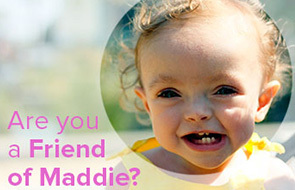 Maddie is the glue that stands between you holding you together now. She is your “invisible glue stick” Guardian Angel in disguise. Giving you strength to go on so you can be strong to take care of her baby brother Bodi.!!!!!!!! By the way, Do we know yet?????? Anxiously waiting. Weddings always make me pause remembering why I got married. .-= Angie [A Whole Lot of Nothing]´s last blog ..You should care about my plans =-. What a beautiful post. Thank you for writing it. You two are so inspiring-and I pray that your days with Mike will get better from here, too. Thank you for being so amazing. Thanks to both of you. .-= habanerogal´s last blog ..It’s time for a trip to The Big Smoke =-. Absolutely beautiful words. I’m glad you and Mike have each other to lean on, support and love as you walk down this dark road. I hope that you both only experience the “for better” for the rest of your days. The photos are beautiful btw. .-= Lisa´s last blog ..Ectopic Pregnancy =-. Beautiful post Heather. Your words help to remind me of what is truly special and important in life. My husband and I have faced many challenges together. Sometimes I don’t know how to keep going. Stay strong and always lean on one another. Maddie and Binky are so lucky to have you both! Thanks again for sharing! P.S. San Juan Capistrano is one of my favorite places! The mission is beautiful! Today I will hug my husband a little more. What beautiful thoughts! Keep pushing and pulling each other along. .-= Lisa´s last blog ..The Appointment That Wasn’t =-. Beauitful Heather. All you wish for them, I wish for you. How I so wish I could change the past and bring Maddie back home to you & Mike. I wish your greatest worry and concern was how Maddie would accept her new brother or sister. But sometimes I fear the only thing wishing does is wound the heart. I’m sorry for that. You and Mike are an awesome couple. I think if we lived closer, you guys would be a very close friends! and if that were ever to be, I’d think “how lucky we were”! .-= Patty´s last blog ..A day late and a dolla short! =-. Heather – a beautiful post. Thank you for putting into words how difficult the road is for a marriage. I’ve wondered about you two – thanks so much for posting this. .-= Amanda´s last blog ..Project 40 Update =-. Ah, the truth of vows. I was just in a wedding and I tried to tell the bride that the cake didn’t matter, listen when you speak those vows. Mean it. I don’t think she listened to me, but that’s why I read smart people online, because I have to hang out with some stupid ones in real life. .-= Lindsey´s last blog ..The Worst Blog Post Ever =-. Many times when I read your blog I want to leave a comment. Most times I can never think of what to say; I feel all of my words fall short compared to the truth and strength of yours. You are an inspiration. Even from afar, my thoughts are with you and your family. And this was a lovely post. So glad you have each other! After 24 years, my husband I just hold each other tight through the bad and the good. Peace to you and Mike, and the Binkster! These pictures are amazing, you have been through hell and back, but together! God Bless. .-= Courtney´s last blog ..Traveling with the best of em’ =-. .-= Maria´s last blog ..a not so no good terrible very bad day =-. I grow so much by reading your posts. My husband and I had an argument about the most asanine of things…and I just realized I need to call him and apologize. .-= Rach´s last blog ..my prayers for today, bulleted =-. Wow. Those are beautiful vows. Did you guys write them yourselves? I’m so glad you are able to hold each other, and push and pull and keep on holding each other. Too many people say the vows and never mean them… and many never have to really live them. You two are living them, every single day, and that is wonderful. .-= Andrea’s Sweet Life´s last blog ..Thief =-. no, these are parts of Christi & Scott’s vows. They are a more modern version of the old-school vows we took. Beautiful….so glad you have someone to hold hands with and lean on ! .-= Erin´s last blog ..Support and Sarrow…. =-. You’re so right, Heather. For better or for worse. No one things about that on that day, do they? Lovely & thoughtful post, Heather. Your posts are a true inspiration for me, bringing me great reflection on my life and how I want to live it. .-= kay´s last blog .. =-. How very beautiful, Heather. How very beautiful. I have thought more than a few times in the last several months, “Thank God there are two of them.” For all the broken parts of each of you, you’re still so much more than the sum of one person’s parts. Love to you. .-= ToKissTheCook´s last blog ..Turn Around Bright Eyes (Drag Queen Karaoke in P-town) =-. .-= Michelle Pixie´s last blog ..Crazy, Silly, Funny Face =-. hoping that you have no more “worse” ahead of you…………..only better from here forward. A beautiful post, beautiful pictures. Congratulations to Christi and Scott! Love, hugs and prayers to Heather and Mike. Been away from Internet access for several days. What a perfectly beautiful post to come back to. Their joy is palpable. Just like the strength of the love that keeps you and Mike going forward. Beautiful post. .-= Maura´s last blog ..An Unconventional Memory Lane =-. What a pretty wedding–and you were quite the beautiful bride yourself! So glad you and Mike are standing strong through all this. Some day, when the time’s right, you–or you and Mike together–should consider writing a book. Though I am sure that right now you are just focusing on getting from one day to the next. .-= Molly´s last blog ..Maddie =-. here’s wishing for more betters. hold tight to each other … thinking of you both. .-= jen´s last blog ..i really want to just say something … =-. Those are beautiful vows. Congrats to your friends. Marriage is hard. Every day though, I am thankful for my husband. I can’t imagine what you and Mike have gone through this year, but it’s a testimony to your love for each other, that you’ve managed to support each other as well as you have. Tons of love to you darlin. Today and every day. .-= Issa´s last blog ..A little Monday random =-. Went to a funeral today for Cliff. Beautifully written. I love the vows. I am so glad that the two of you have each other through this impossible experience. I wish every couple could read this and know that vows are something serious to be taken seriously, especially during the really, really hard times. Sending you hugs and love and prayers to you and Mike and Maddie and the new one. .-= Tricia (irishsamom)´s last blog ..Grieving =-. Seriously Heather….do you always have to make me cry???? Love your writing!! I wait everyday to read your posts. Wow, what a beautiful wedding, beautiful couple! Very moving words Heather. Sometimes the death of a child, or another catastrophic happening can wrench a marriage apart. I’m happy to see you two being together and staying that way. May God in His infinite mercy bless both you and Mike, and Binky (and Maddie) and Rigby, richly! .-= mythoughtsonthat´s last blog ..United =-. beautiful wedding, beautiful pics and as always, beautiful words. This is one of my favorite things you’ve written, Heather. The photos are beautiful, too. .-= Rebecca (Ramblings by Reba)´s last blog ..I think I see a pattern developing… =-. You and Mike are a testament to strength in a relationship. Sometimes it’s so easy to forget about the little things, like holding hands with your husband. But sometimes the little things can make the biggest difference. .-= PrincessJenn´s last blog ..Badgers =-. .-= Jennifer´s last blog ..First Full Day =-. Beautiful post. Beautiful vows. Beautiful couples. Both of you. I hope your friends never have to endure pain or grief. And I hope for wonderful things for you and Mike for the future. .-= Trish´s last blog ..YESSSSS!! =-. .-= Haley-O´s last blog ..I HAVE A FLAW =-. .-= Bunny´s last blog ..Picnic Sunday: Sweet & Savory Clubwiches =-. What a beautiful post, as always, your words bring tears to my eyes. Tears of such great sadness that you and Mike, such wonderful and inspirational parents, lost your precious Maddie but also tears of great joy that you and Mike have such love for each other and are also going to be parents again. Heather, you and Mike are such amazing people, your love shines through. Your precious little Binky bean is so lucky to have such wonderful parents and so lucky to have such an amazing sister, the World Famous Maddie. I’ve learnt yet another lesson from you today, dear sweet Heather, for better or for worse. Thinking of you, as always. Beautiful post…and those vows…wow! They brought tears to my eyes. I’m gonna bookmark this post for future reference! Thank you for your wonderful writings. I love the yellow- so cheerful and hopeful for a wedding. I love what you’ve said about your relationship. I know that often times tragedy causes relationships to crumble and it’s so nice to know that yours is so strong. .-= shoeaddict´s last blog ..Cupcake’s Visit (Early June) =-. Hey! That looks a bit like the Forster Mansion in San Juan where I just got married in January. It looks lovely even if it’s not :). Thanks for sharing those beautiful vows and your love for your husband. May we all have such a love to help us fight through. Attending weddings can really be nostalgic. How long have you been married? How was your wedding day like?